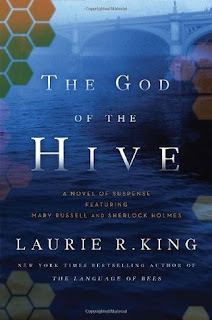 The God of the Hive by Laurie R. King - I've had a hard time getting to this one but I really want to read it since the previous book kind of ended on a cliffhanger so I thought I might have a better chance with audio. The Disaster Artist by Tom Bissell and Greg Sestro - To be honest I don't know much about this book but I've heard a little bit about of the movie that this is about and it was on sale. Neverwhere by Neil Gaiman - I listened to Coraline earlier this year and really enjoyed it so I thought I'd add this one in. Journey on a Runaway Train by Gertrude Chandler Warner - This one is really for the Tornado. This is his favorite series so I thought having an audio book always accessible would be a good thing and it was only a few dollars. Listening: The audiobook I was listening to ended up being a DNF so I'm back to podcasts for now. Watching: We've been watching the World Cup and I've been really enjoying The Great British Baking Show (aka The Great British Bake-Off) now that they've got a new channel on PBS. With the holiday being smack in the middle of the week here in the US it's been a kind of weird week. I have no idea what day it is! J took the last half of the week off and we've been tackling chores that have been waiting to get done. For July 4 we had Eleanor, her husband and the Little One over for an early dinner and had a nice visit. Then J, the Tornado, and I went and watched fireworks that the Space and Rocket Center were shooting. We did a few small ones here at the house too. I'm partial to the fountains which are so pretty but don't make the loud noises or leave a mess. Earlier this week the Tornado and I visited a new branch of our usual library. We normally visit the small local branch which I love and it's literally 2 minutes away. They were unexpectedly closed the other day so we decided to head over to a new branch that had just opened about 15 minutes away and I was so impressed! The main part is really open floor plan so I could get the Tornado settled at a table and see him from almost anywhere in the library. The children's section was separate with a full time librarian specifically for the area and the selection was amazing. He's been really into graphic novels (he's 8) lately and we found a bunch. He's especially excited about the science related ones we found. This coming week he's in Space Camp again and my goal is to get all the things I planned to get accomplished last time and try not to injure myself like last time! Sorry that your audiobook was a DNF, my last one was a bit of a struggle and so I have gone for a Sarah MacLean one next to reawaken my enthusiasm. Looks like you did well on the Audible sale, nothing in it took my fancy. I always love watching the World Cup! I've hardly seen any this time though, been so busy. I definitely need to make time for the last few games. I love the Great British Bake Off-I get hungry looking at all the creations! What a busy week you had! It seems those weeks with a holiday or any day off in the middle throw me off. I love the thought of Space Camp, wish we had sent Tristan when he was young. I still haven’t seen the British Bake-off Show because our library doesn’t have the DVD. Great idea to try a different branch of the library. Our main one is huge but we go/to the closer branch too. I was so tempted by the Audible sale. I had a couple of books that I considered buying but forgot to do it which may not be a bad thing :) I love visiting other branches of our library. It is always nice to see how they are different. It sounds like you had a good holiday but it was strange with the 4th falling on Wednesday! Have a great week and enjoy your new audios! I've had no idea what day it is this week, either! Midweek holidays are so confusing, lol. I really need to try Neil Gaiman. Sorry about your DNF. We have been watching the World Cup too and liking it. The middle of the week holiday totally threw me off! It kept feeling like the wrong day. 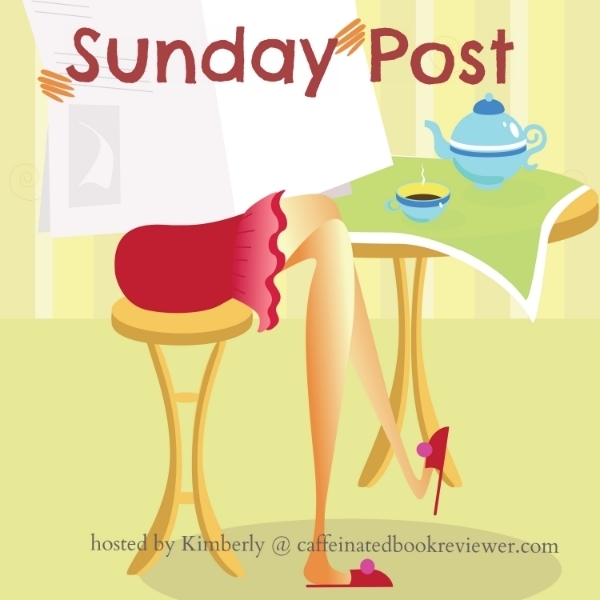 Enjoy your new reads and have a great week! The holiday this week messed me up too. I'm glad the new library branch was so nice! I read Neverwhere randomly a couple years ago and LOVED it-- I hope you enjoy it too! Sounds like a fun-filled week. I enjoy only the impressive professional fireworks shows, not the random firecrackers going off in my area that have so badly spooked my big dog. It's always wonderful to discover a great library within the orbit of your library card:)). And I know what you mean about The Great British Bake-Off- I like the fact everyone is civilised and friendly even though it's a contest. I hope the coming week is a good one, Katherine. Visiting a different library branch is always fun. Since I've moved around this city a few times, I have a few favorites. My current neighborhood branch; the downtown branch, which is huge; and a suburban branch that I revisited a year or so ago and took photos for my blog. I always loved the quaint country feel to that branch. I still want to read Rainy Day Friends. Loved both the film and book of The Disaster Artist. Made me see The Room afterwards. The holiday did throw everything off. I’m glad you found an awesome library. I hope you have a good week! I'm looking forward to your thoughts on Somebody's Daughter and Italian Iced. I loved both of those. Have a great week! Bummer your audio was a DNF, makes me a bit curious what it was though! :) Enjoy your new reads! I hope you love your new audiobook finds. How great that there are so many graphic novels for your son's reading interests (and level). Have a great week! How fun another branch was open and brand new, what a plus. We usually go to the main branch in town. There are a few smaller branches but their schedules are limited.